We asked prominent chefs working today to tell us what they would share with this unborn chef. This is Paul Fehribach’s “Letter to an Unborn Chef”. Hailing from the rolling, forested hills of Southern Indiana, Chef Paul Fehribach has always taken to heart the mission to take things beyond the superficial farm-to-table proclamations while seeking deeper meaning in the history and heritage behind the Southern table. 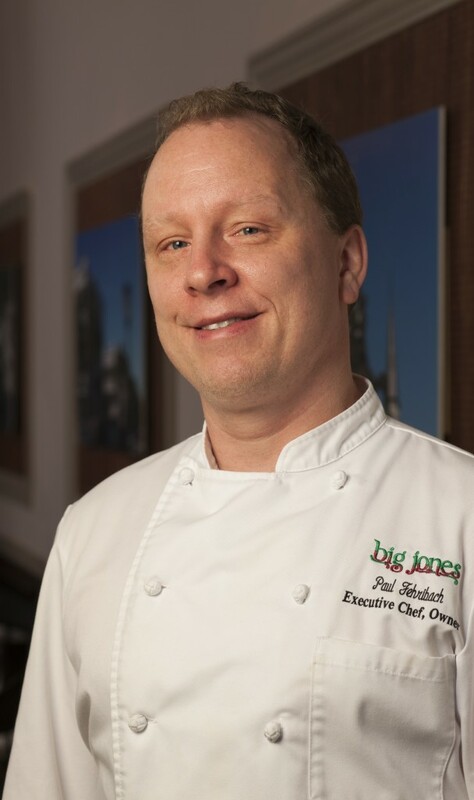 After helping Richard Satnick open the legendary Laughing Planet Café, one of the first organic and local foods-focused fast food restaurants in the country, Chef Fehribach opened Big Jones in April 2008. Big Jones was named “Best New Restaurant” by Chicago Magazine in 2009, dubbed best fried chicken north of the Mason-Dixon by Bon Appetit magazine. Chef Fehribach has been honored as a nominee for the James Beard Foundation’s Best Chef: Greak Lakes in 2013, 2014 and 2015. Fehribch published the Big Jones Cookbook on University of Chicago Press in May 2015 to great celebration. Episode | Advice from "Letters to an Unborn Chef"